I work hard for my clients to maximize their returns! Your home should reflect who you are. No other waterfront community in the Daytona area offers superior views like these, and they’ve never been more attractively priced. Enjoy the MG’s spacious seclusion while still being located in the epicenter of all the area’s exciting offerings. Work, fun or play, MG offers active luxury on every level. With premium finishes like Italian cabinetry, GE stainless steel appliances, marble and granite countertops, 9-foot ceilings and 18 acres of private, landscaped grounds, and a fabulous 32-slip marina, MG homes are designed for those who appreciate luxury and understand value. Change your point of view and see what you’ve been missing. MG on theHalifax, live above it all. 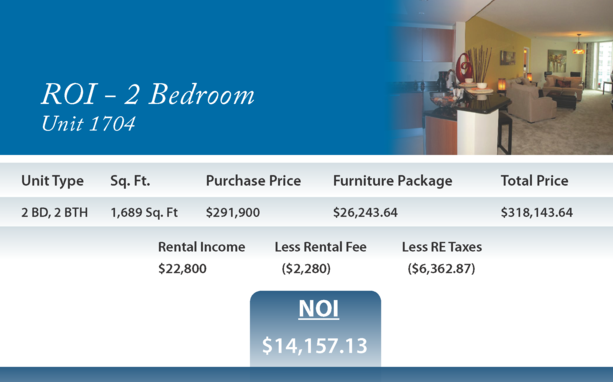 Welcome to MG on the Halifax, the area’s premier active luxury condominium. No other waterfront community offers the spacious seclusion & superior views like the MG, and they’ve never been more attractively priced. With premium finishes like Italian cabinetry, GE stainless steel appliances, marble and granite countertops, 9-foot ceilings and 18 acres of private, landscaped grounds, MG homes are designed for those who appreciate luxury and understand value. 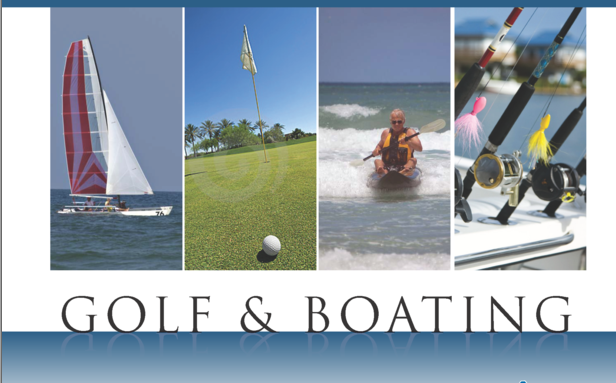 The MG Marina will provide owners a launching point to the Halifax River and Volusia County’s most popular recreation – fresh-water and deep-sea fishing, water-skiing, tubing, bird-watching and more. Located near the Seabreeze Boulevard Bridge of Daytona Beach and within view of historic Ormond Beach to the north, the marina provides easy access to the Atlantic through nearby Ponce Inlet to the south. Plans for Phase II construction include more than 30 slips designed to accommodate vessels up to 30 feet. “Residents will be able to walk to their boat for a sunset sail or slip out in the morning to go fishing – every day if they want. That’s luxury you could never get tired of, and it’s so distinctly part of the Daytona Beach area lifestyle, “ says Brett Dill, president of Tarpon Partners. 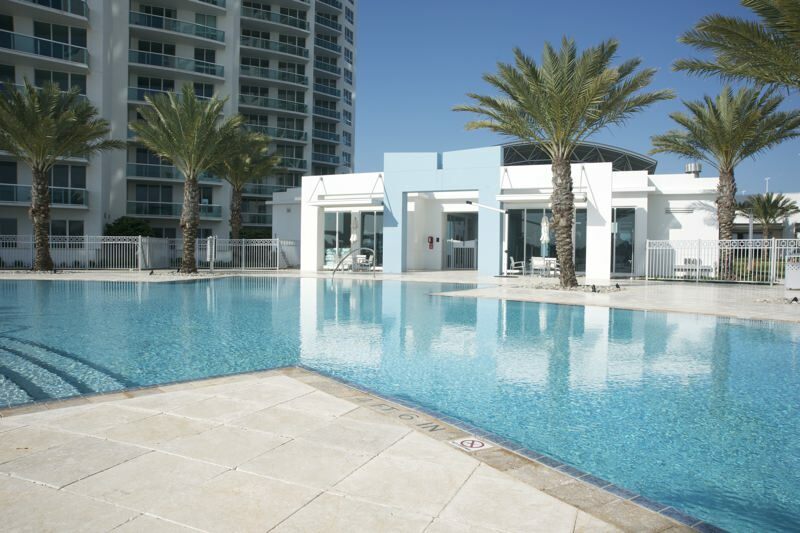 MG condo is owned by a joint venture co-sponsored by Tarpon Partners – an affiliate of South Florida-based Swerdlow Group – and New York City-based Glenmont Capital Management, LLC. The joint venture took over the property by acquiring the remaining unsold inventory of MG on the Halifax earlier this year. From anglers to bicyclists, the pet-friendly property features multiple facets that will appeal to those seeking an active lifestyle in a central location. MG condo offers intimate waterfront condos in two, 25-story towers that currently feature 486 two- to threebedrooms units ranging in size from 1,650- to 2,300-square-feet with the combination flexibility to create larger units. 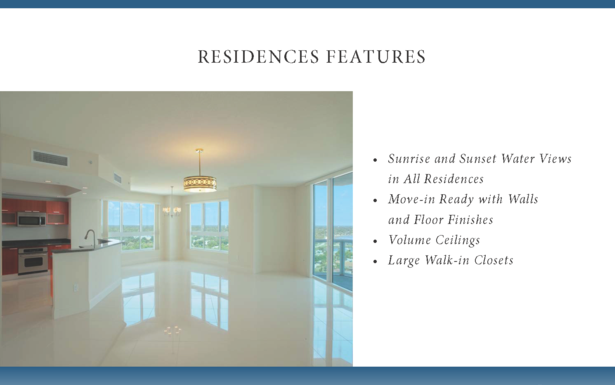 These high-end condominium units were constructed with top-of-the-line materials, featuring nine-foot ceilings in the living areas, sleek stainless steel appliances and Italian cabinets in the kitchens and glass balcony rails. Ritz Carlton Residences on Singer Island. Our 18 acres of landscaped, waterfront playground will include 2 heated swimming pools with whirlpools and spacious sundecks, a steam room, sauna, and state-of-the-art fitness facility with a yoga/Pilates/dance studio and all the latest exercise equipment. Our planned 10,000 square foot clubhouse will feature a 20-seat theater, several private party rooms and even a billiards lounge. 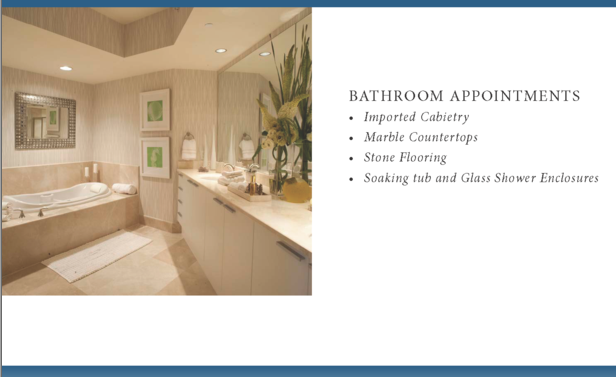 There simply is no other luxury condo community with the sophisticated elegance of MG condo. It’s the best-kept secret on the waterfront. 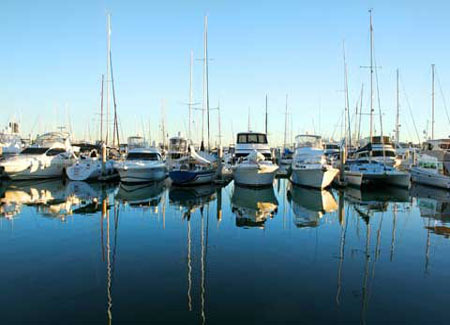 With 32 boat slips built to accommodate vessels up to 30 feet, you can literally walk to your boat for a sunset sail. Every day. And that is a luxury you will never tire of. Rockefeller, Vanderbilt, Flagler…these renowned industry barons pioneered active luxury on the Halifax River over a century ago. 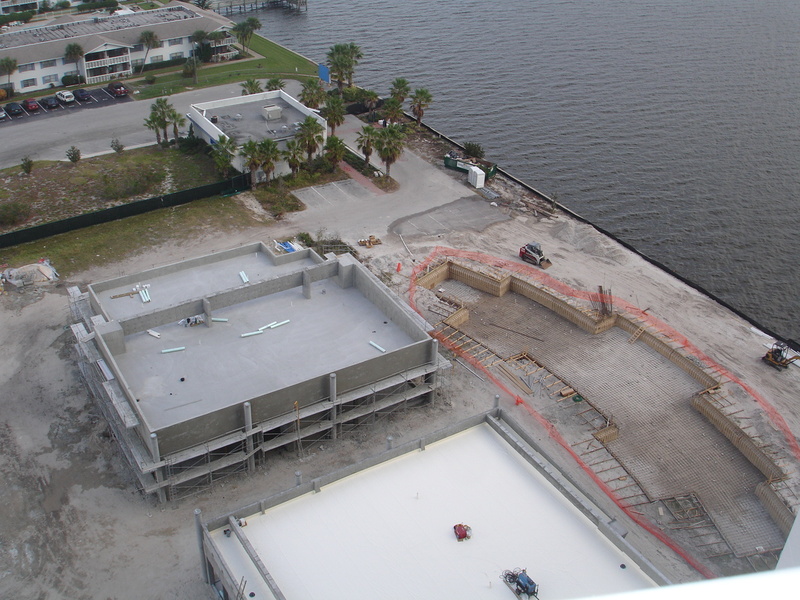 Now you can create your own history in Daytona Beach’s finest luxury condo development. 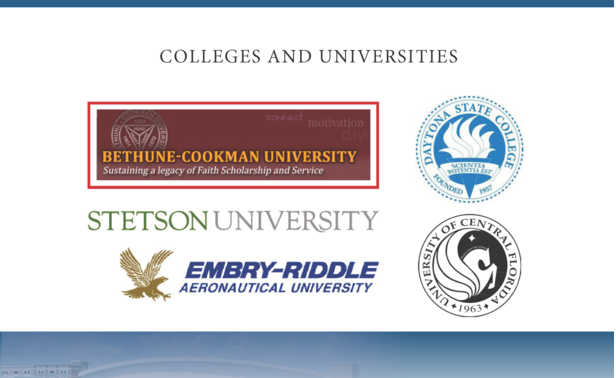 Osprey, dolphin, manatee, … we guarantee you will love your neighbors. And your lifestyle. From fine dining to casual dining, Daytona loves food. Treat yourself to an ice-cold beverage and a perfectly grilled burger on the World’s Most Famous Beach, or relax with a spider roll and sake in a shady garden cafe. Daytona restaurants cover the world of ethnic cuisine with favorites like Greek, Italian, Mexican, Thai and even authentic New York-style deli’s. 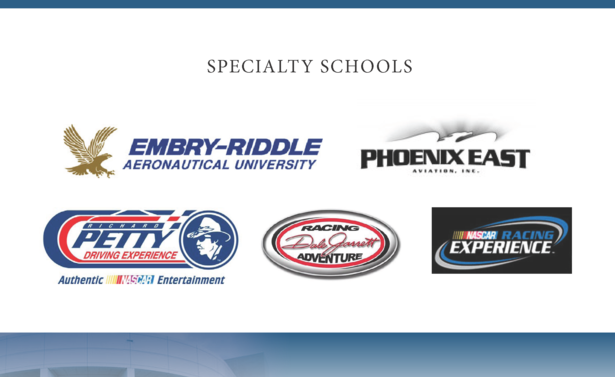 So whether you are celebrating a special occasion or just need a quick bite, Daytona has the perfect place to eat. 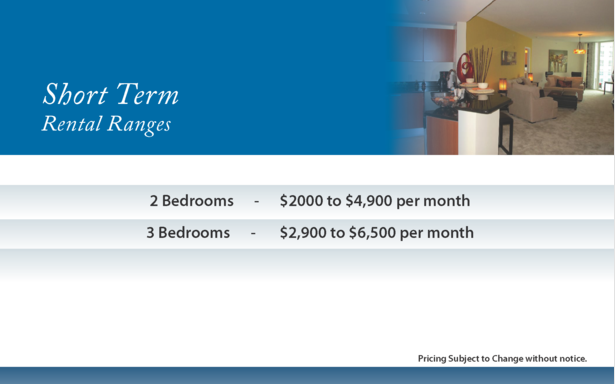 MG is a luxury waterfront condo community designed for those who want to live life to the fullest. Centrally located in the quaint riverside community of Holly Hill, MG is just minutes from all the fun of beachside Daytona, but miles away in atmosphere. 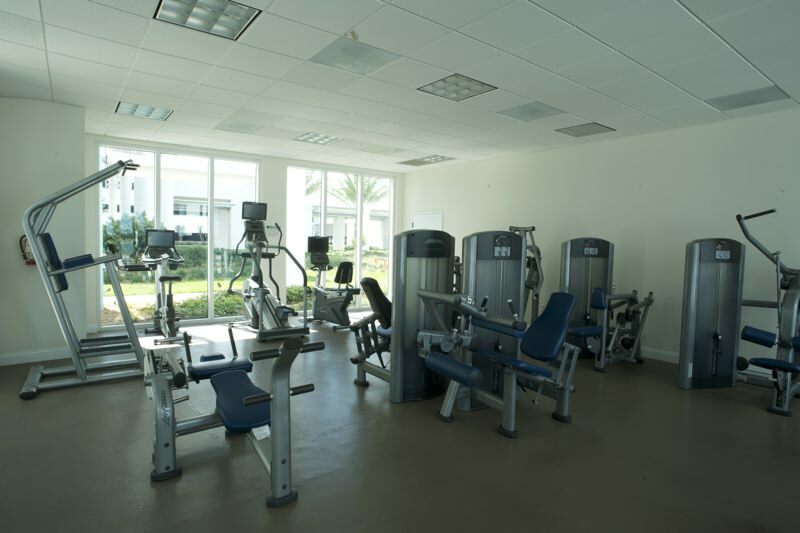 Scenic bike paths and waterfront parks are right outside the front door, and historic A1A, Beach Street and Granada Boulevard are easily accessible. This unique waterfront location offers the best of all worlds on the Florida coast. After a busy day enjoying the World’s Most Famous Beach or the Birthplace of Speed, relax in an exclusive, private sanctuary on the banks of the Halifax. 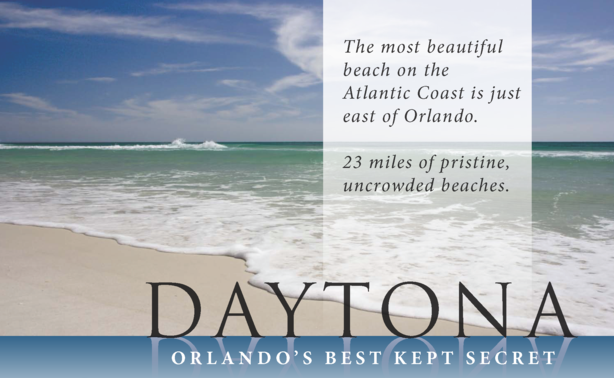 Known for its vast exquisite beaches, Daytona Beach is also an icon for business and commerce. 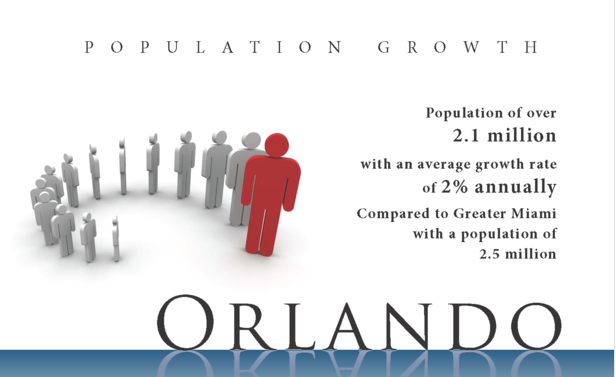 A thriving and growing community of opportunity that is nestled within the cities of Volusia County makes this area a world-class place to live, and play. 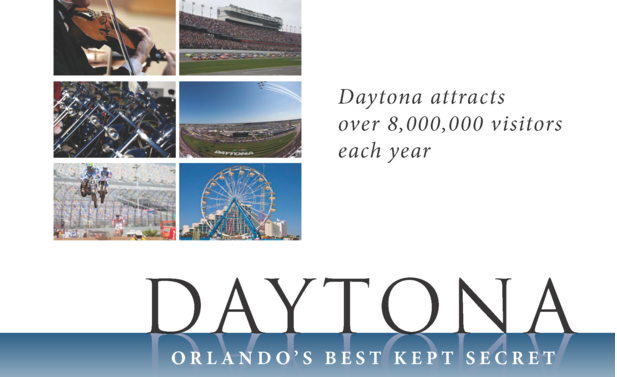 Daytona Beach features a balance of culture, arts and endless entertainment. Come explore this history soaked area and enjoy the lifestyle of casual luxury that awaits your arrival. The rental management office is located on site. They will help to rent your unit Long term or short term for maximum profit and they will deal with tenant selection, receiving payments, cleaning, protecting and maintaining your investment(s). You enjoy your daily life and let your investment grow and pay for itself. 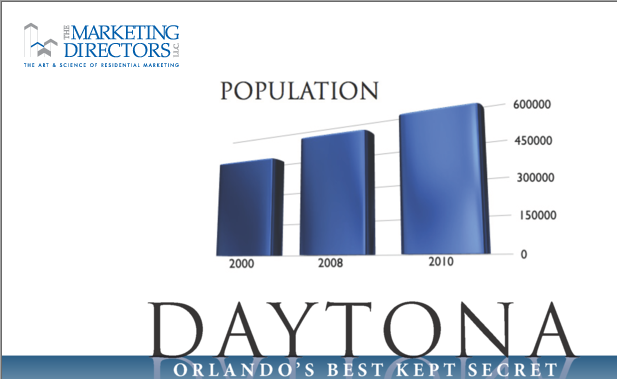 Daytona Beach International Airport is unmatched for ease of access and ease of use for business and leisure travelers. 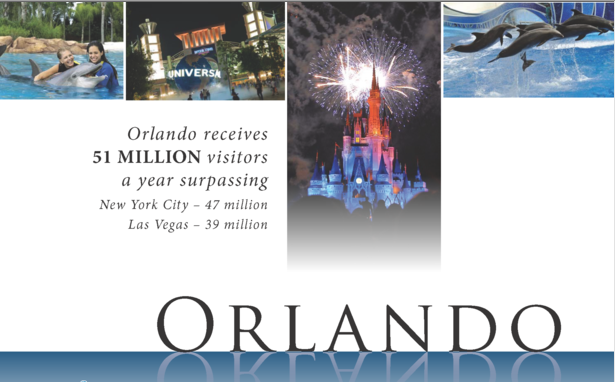 With no personal income tax and a state corporate tax rate of 5.5 percent and no property tax on business inventories, Volusia County offers tremendous economic advantages for companies relocating to or expanding within our Central Florida location. Downtown Daytona Beach is the Historic core of the Daytona Beach Area Community. 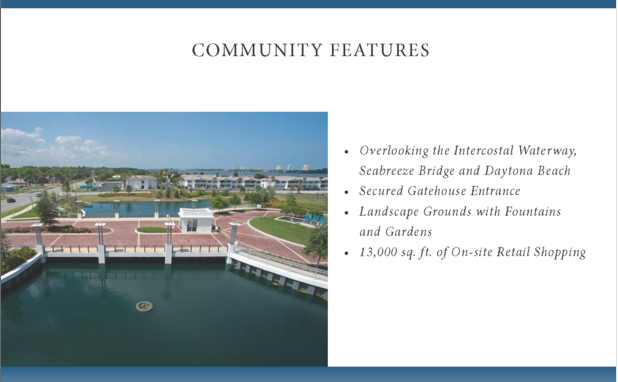 With venues like Manatee Island, City Island and Riverfront Park, it’s easy to see why this is the area’s central community gathering place. Beach Street, downtown’s main promenade, is lined with some of the best shopping Daytona has to offer, cafes and nightclubs and hosts NUMEROUS outdoor festivals including Florida’s oldest Saturday Farmer’s Market. Anchoring the North block of Beach Street is the new, multi-million dollar, state-of-the-art News-Journal Center at Daytona State College. And during baseball season fans fill the stands to see the Daytona Cubs play in the historic Jackie Robinson Stadium on the waterfront. Whether you’re in to golf, jogging, water sports, or playing Frisbee® with your dog, you can indulge your leisure passions here. There are plenty of things to do in Daytona Beach, from championship Daytona golf courses and backcountry kayaking, to beach activities like kite surfing and stand-up paddle boarding. The recreational opportunities are endless, and with 23 miles of beach, not to mention rivers, creeks and springs, you can always find something cool to do on the water. The co-sponsors of the joint venture include an affiliate of Coconut Grove-based The Swerdlow Group, a recognized leader in the Florida real-estate industry, developing dozens of strategically planned projects since 1987 across the Sunshine State. An original partner in the development group for MG on the Halifax, the company’s visionaries – led by Brett Dill who serves as the President of Tarpon Partners – are committed to achieving unmatched, world-class luxury waterfront living at the property. Key to that vision is a fast-tracked $6 million expansion that will include an 11,000-square-foot clubhouse featuring a large, state-of-the-art fitness center, a billiard room and a 20-seat movie theater, as well as a 32-slip marina, zero-edge resort-quality pool, and other resort-style amenities. With more than 25 years of design excellence for some of the most prestigious properties in the world like Trump Hollywood, Ritz Carlton Residences, Singer Island and Crocker Mansion in New Jersey, Interiors by Steven G. has been engaged as the exclusive model interior designer for MG on the Halifax. Using his unique ability to combine sophistication and timelessness with optimal interior aesthetics, the complete models for the property encapsulate the MG vision while inspiring your imagination. 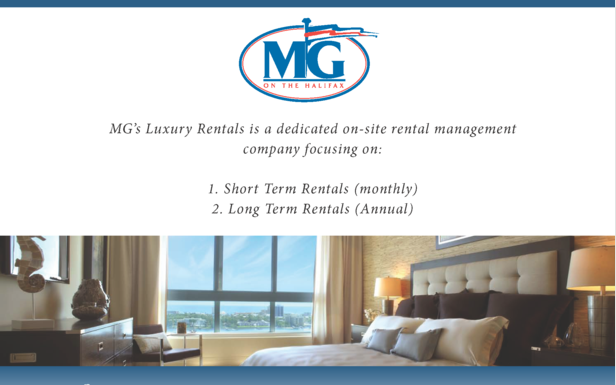 The national sales and marketing effort for the homes at MG is spearheaded by the experienced experts of The Marketing Directors, LLC, founded in 2007 by David Tufts. He and Adrienne Albert, Marketing Directors, Inc.’s chief executive officer, collaborated to create a team of the most highly experienced real estate professionals in the Southeast to service developers specializing in high density residential sales and marketing. With over 30 years of experience, The Marketing Directors is well positioned to be the sales solution for developers in any market condition. 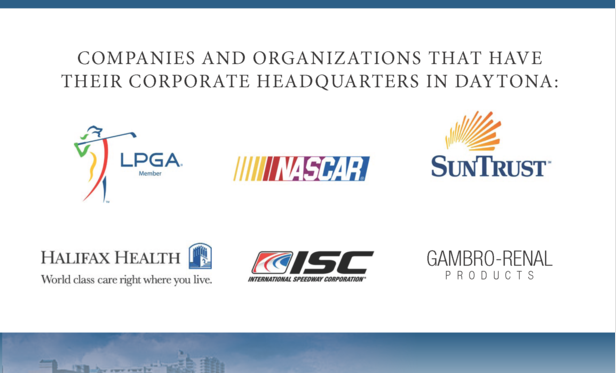 The worldwide sales experience of ISG Daytona, LLC (ISG), a fully integrated outsource organization specializing in sales and marketing for the real estate industry, will play a pivotal part in the MG on the Halifax team. Founded by Philip J. Spiegelman and Craig S. Studnicky, ISG has the seasoned experience to showcase the many facets of the property to international clientele, including South American buyers looking for paradise near Central Florida and the beach. Combining a highly trained, experienced multilingual sales staff with a full complement of real estate professionals and an extensive network of top national and international brokers, ISG will extend outreach to an unmatched network – worldwide.